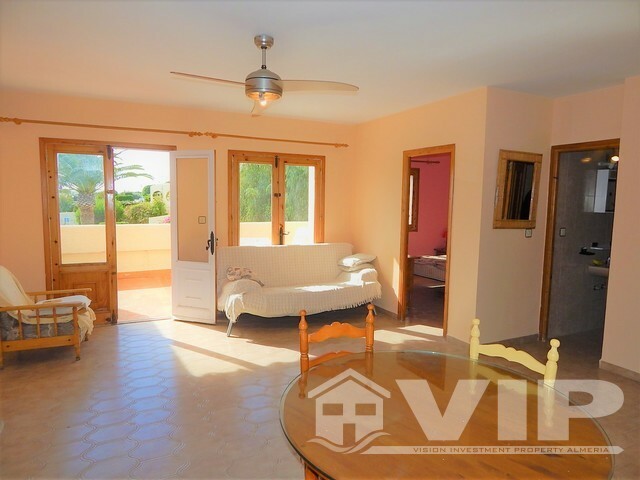 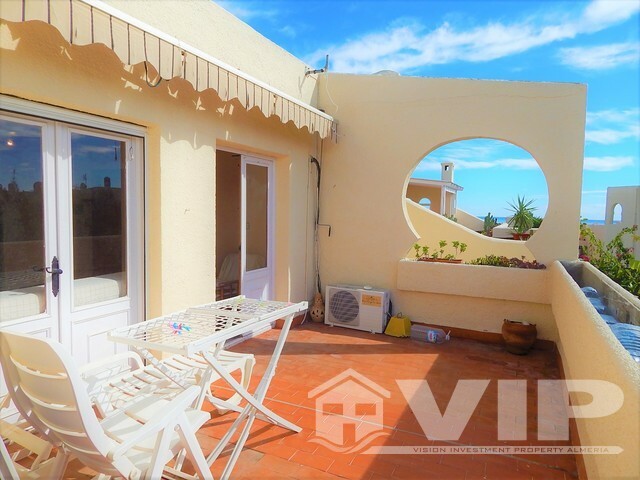 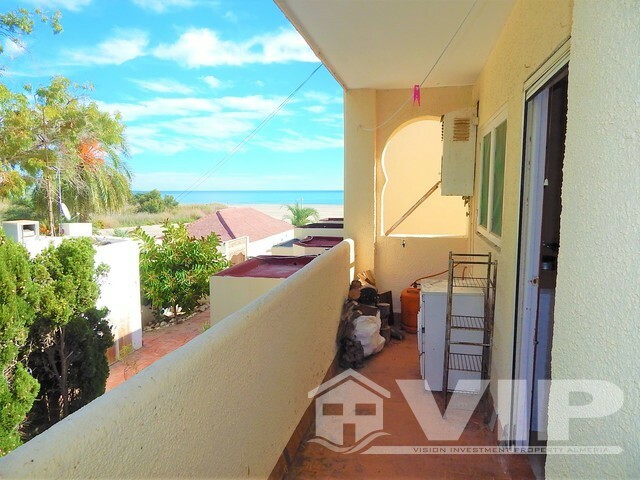 A fantastic top floor beach property in Mojacar. 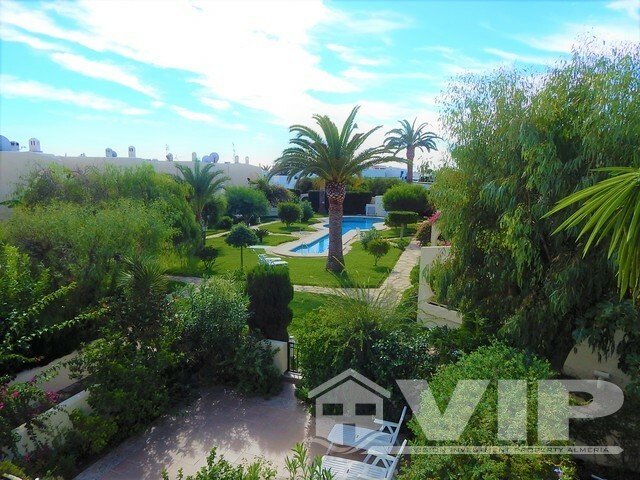 This is a rare listing on the beach in a residential community setting with mature established gardens and a guitar shaped swimming pool. 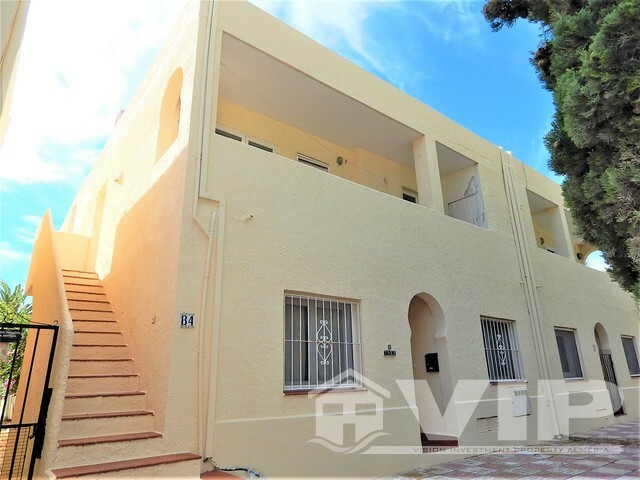 A flight of stairs leads to the entrance of this 1st floor apartment. 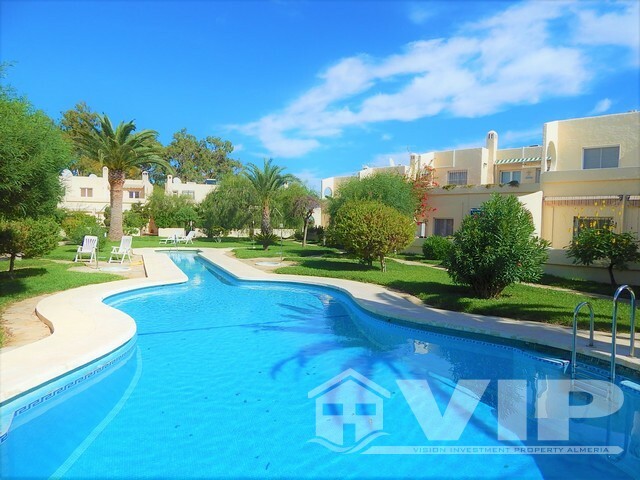 The apartment has 2 double bedrooms, 1 bathroom, a bright lounge with patio doors out to the south west facing terrace which looks over the communal gardens and pool. 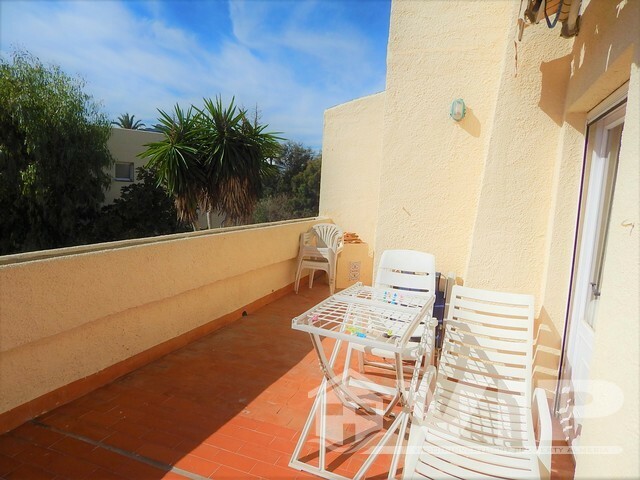 The apartment has a fitted kitchen with door out to 2nd terrace and enjoys a sea view from this aspect. 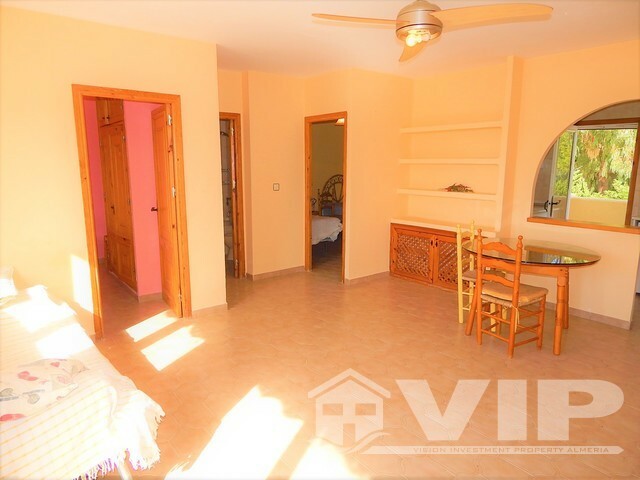 Both bedrooms and lounge have air conditioning and the apartment is presented in very good order. 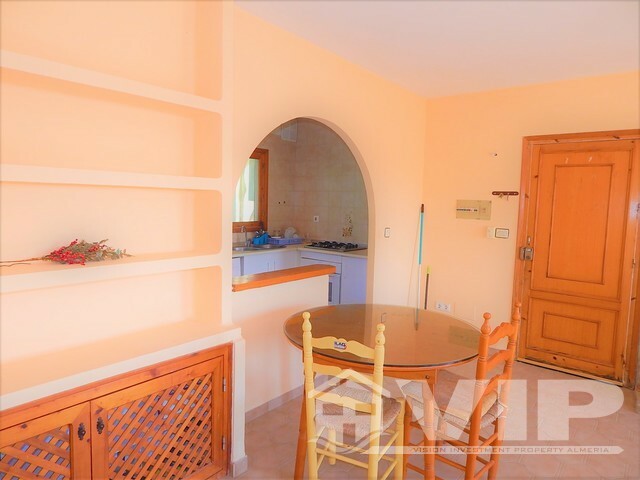 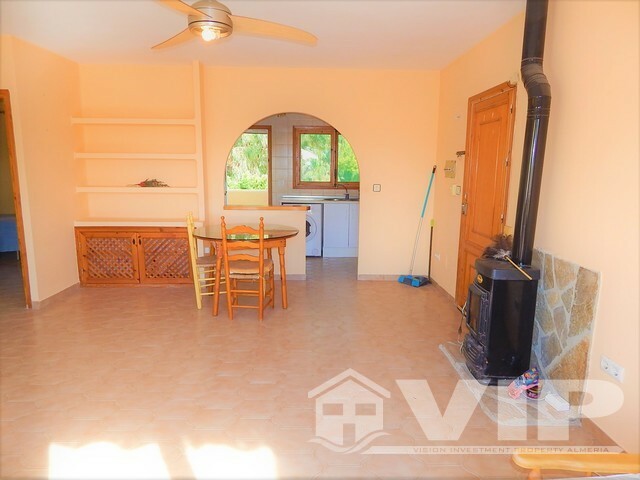 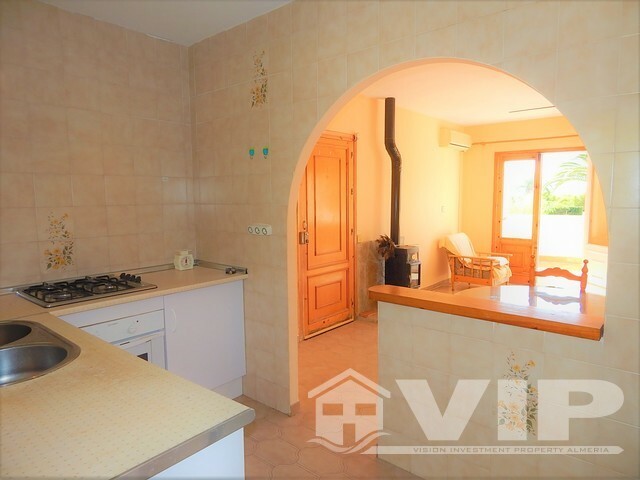 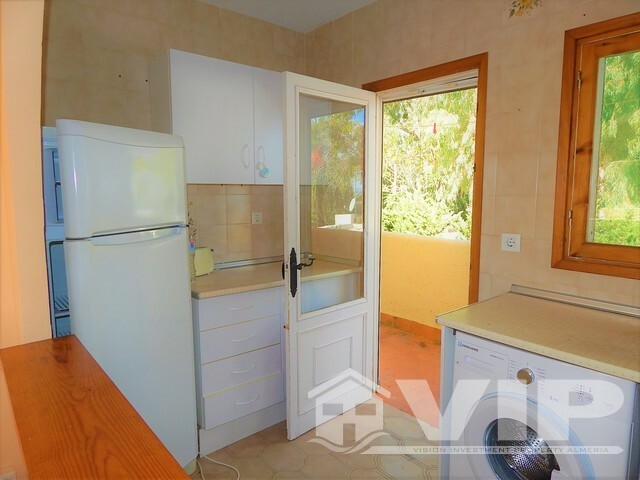 Located in the Rio Abajo zone of Mojacar Playa on a small community on the beach side of the main coastal road, with direct access from the community gardens to the beach area. 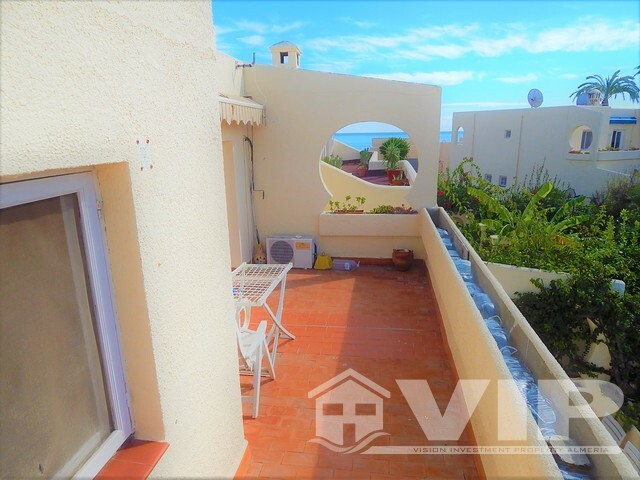 It is less than 200 metres from many local bars and restaurants.